holds a Ph.D. in cultural studies; anthropologist of culture, theatre studies scholar, researcher of different forms of cultural participation, socially engaged art and issues connected with qualitative methodology. She is the Head of the Culture Animation specialization and the co-leader of the Theatre Pedagogy Postgraduate studies program. As an expert she worked among others for: the Cultural Office of Warsaw City Council, the Polish Ministry of Culture and the Theatre Institute in Warsaw, Komuna// Warszawa, Ujazdowski Castle Centre for Contemporary Art. She curated a.o. : Festivals: “Theatre in Public Space” (Warsaw, 2010), ZWYKI – Folk Theatre Festival” (Warsaw, 2011, 2013), and the exhibition „Miasto w działaniu” (Art Inkubator, Łódź, 2014), the program „Mów za siebie” (Instytut Teatralny im. Z. Raszewskiego, 2014- 2017), the artistic residency of the Plattformer collective (Residency 2015). She has edited books, including CZ/PL. Theatre after reconstruction (2008), Wolność w systemie zniewolenia. Rozmowy o polskiej kontrkulturze [Freedom in Times of Enslavement. Conversations about Polish Counterculture, edited together with Aldona Jawłowska, 2008], Creative Communities. Field Notes (edited together with Joanna Kubicka, 2012), and A thousand and one nights. The connections of Odin Teatret with Poland (2014). She published in “Didaskalia. Gazeta teatralna”, “Kultura współczesna”, “Scena”, “Teatr”. The article considers the original concepts regarding democratisation of culture, created in Poland in the interwar period within the movement of so-called people’stheatre. In particular, are theatre manifestos by Jędrzej Cierniak, an organiser of the folk-theatre movement, and of both Antonina Sokolicz and Witold Wandurski, founding directors of working-class theatre companies. These three original concepts for communal theatre share primarily the ambitious fusion of political and artistic postulates. The theatre-makers under discussion were not just educators but bold theatre experimentalists who refused to work with cut-and-dried dramatic scripts, introduced improvisation in the course of rehearsals as well as during performance, allowed outsiders to observe the artistic process, called for collective creation and demolished the theatre as a box. Their manifestos also consider ethical and technical issues linked to the opportunities and constrictions engendered in collective creation. Their projects anticipate numerous strands over twentieth-century theatre history, including collective creation, “on-stage writing”, and devised theatre. They can also be justifiably considered an original domestic variant of such later phenomena as theatre of the oppressed, community theatre and participatory theatre. 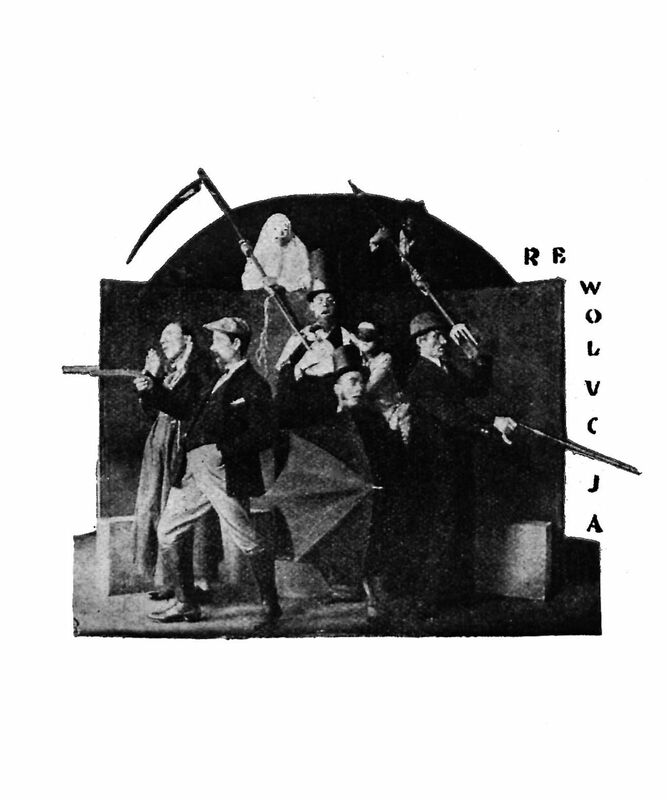 Jędrzej Cierniak, Antonina Sokolicz and Witold Wandurski, each in their own way, consciously instilled a political dimension in their creative practice, convinced of the transformative power of theatre in the context of rebuilding the Polish state after 1918 [when independence was regained, after over a century under partitions and occupation] and the redevelopment of civil society. Thanks to new artistic solutions, the communal theatre they masterminded was to become a laboratory for people’s emancipation and for a bottom-up shaping of political reality.